These days, many new alleged disorders, health scares, and other psychological ailments seem to have been largely aided and abetted in their spread around the world by the Internet’s current viral culture. People will tell you that what you eat is killing you, what you breathe is killing you, and even Wi-Fi and drinking water will damage you forever. Looking to take advantage of people’s fears, hucksters have used these scares to dramatize made-up disorders. Sometimes, they even create health scams themselves to sell products and make money off the gullible general public. A growing number of people claim to have electromagnetic hypersensitivity (EHS). These individuals believe that the radiation and other radio waves from Wi-Fi and mobile phones are causing them to be sick on a regular basis. Some have even petitioned governments to give them disability for it. In France and Sweden, a few people have managed to get benefits for this fictitious disorder. The problem is that many of these people are being falsely legitimized because a couple of countries are confused by reports from the World Health Organization (WHO). The WHO verified that EHS was real. But they also said that the electromagnetic part should be removed because there isn’t a shred of evidence that Wi-Fi or other similar signals are actually causing any kind of specific disorder or symptoms. 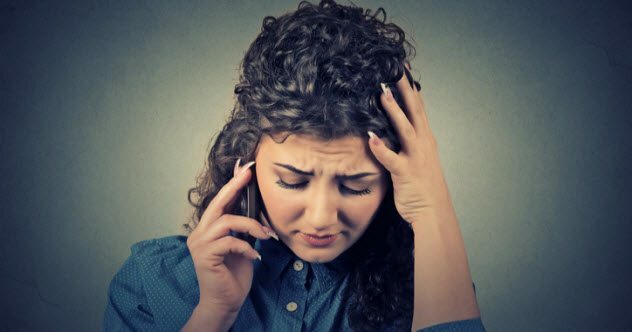 In fact, the people who constantly claim to have this disorder always have symptoms that are very common—such as headaches, nausea, or a feeling of being unwell—and can be attributed to almost anything. On top of that, studies have shown that EHS is likely to be an example of the “nocebo effect.” This occurs when someone comes to believe that something is dangerous for him. Before long, he will convince himself that it is making him sick. Then his body reacts in the opposite way it would to a placebo and sickens him for real. While the jury is still out on whether there are any long-term repercussions from constantly talking on a mobile phone, most researchers believe that any effects are slight and that your Wi-Fi itself is not something to seriously worry about. It has become incredibly trendy these days to take gluten out of your diet entirely, citing claims that it somehow makes you feel sick, tired, or weak without any actual evidence to back it up. Many of these individuals don’t bother to go to a doctor to see if they actually have celiac disease or a wheat allergy. Still, some claim to have a sensitivity even though there is no way to actually test for such a thing. Lately, some news sites have declared that research has proved the existence of gluten intolerance, but it did no such thing. Research has shown that some people who don’t test positive for a wheat allergy or celiac disease still claim to have some symptoms when eating gluten. But there are a lot of factors going on. To begin with, our old friend the nocebo effect returns. Many people have been persuaded that gluten is bad for everyone, despite this being entirely untrue. So they psychologically convince their bodies that gluten is bad and make themselves sick. Doctors have also suspected that irritable bowel syndrome (IBS) may have a lot to do with this. 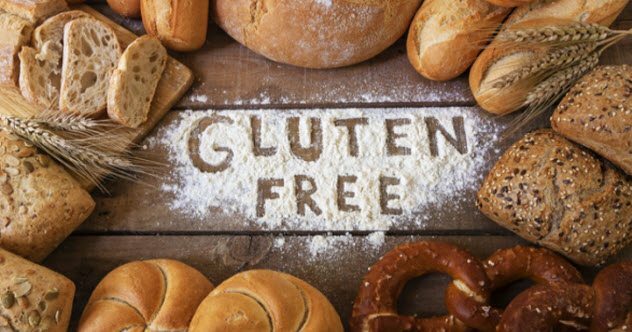 Researchers performed a double-blind study with IBS sufferers who were supposedly gluten intolerant and found that gluten was not a reliable trigger any more than a placebo. The researchers believe that wheat and a lot of different foods can be tough on the tummies of people with IBS. These patients are just sensitive to almost everything, but gluten itself is a protein and not the culprit here. If you think you have issues with gluten, doctors recommend that you go for an official diagnosis first. There could be many non-gluten things causing your symptoms, and you could delay a proper diagnosis by thinking you have solved the issue on your own. The truth is that a lot of people who claim that they have a sensitivity to gluten probably just have sensitive stomachs in general. These days, many people talk about their energies and the energies of those around them. They suggest that others have “negative energy” and that they have “positive energy.” They believe that this is not just people reacting to the emotions of others but some kind of actual intangible energy field that humans have around them—an aura, if you will. This belief has led to an industry of fraudsters who claim that they practice something called Reiki. 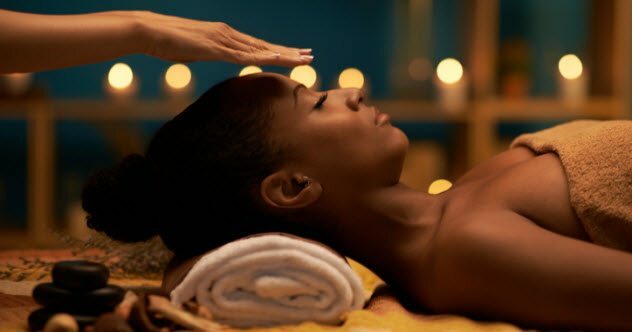 A Reiki practitioner believes that he can bring out the energy of his own body and use it to influence the energy field of someone else to help that person for the better. Here’s the truth: While it is often put forth in scientific-sounding language, Reiki is utter gibberish that is meant to confuse those who don’t understand the words being used. Your body has no special energy field, and it doesn’t emit any magnetic force. You have energy to perform tasks, but that does not create a specific energy field. It is just a measure of how much your body is able to accomplish in a given time. Whenever someone starts talking about the electromagnetism or heat emanating from your body and how they can use that to balance your energies, you know that you are talking to a fraudster or, at the very least, someone who is extremely delusional. Some of you may have heard of the condition known as halitosis (aka bad breath). Most people take this for granted as a serious problem these days and will often have various levels of social anxiety about having potential bad breath. In fact, some individuals have worried enough to go to doctors about the issue. Many keep their Listerine handy and even some breath mints to avoid such an embarrassing problem. However, not long ago, people didn’t worry about bad breath. As it doesn’t cause pain or any life-threatening symptoms, they figured it couldn’t be considered a real disease. And they were right. It isn’t. During its early days, the company that made Listerine, which has been around since the late 1800s, was selling a decent amount of product to sterilize wounds, especially in the mouth. But they felt that they were not selling enough. So they made up the term “halitosis” and started a marketing blitz to play on people’s insecurities. It worked beautifully. People were so convinced by Listerine’s ploy that almost no one will be caught with bad breath anymore. Unfortunately for Listerine’s profits, a lot of people these days just carry some breath mints and brush their teeth regularly. In health aisles and on health blogs, you will often see detox supplements or detox diets meant to quickly flush all the toxins out of your body so that you are clean and ready to go. 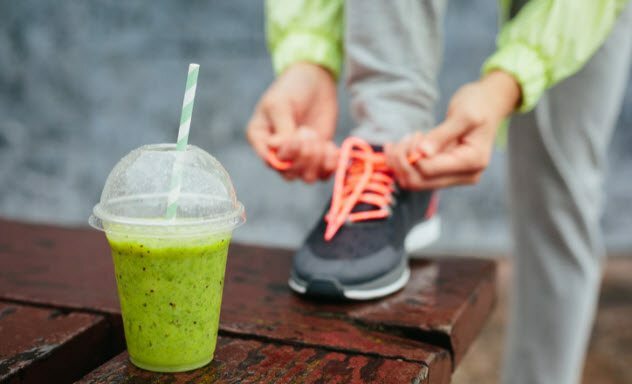 These products and the people who push them sound very alarming about the buildup of bad things in your body and suggest that what you are drinking or eating to detox is nothing more than the precious elixir of life itself. And you can have as much as you need—for a price. As you may have guessed, their statements are not true. Perhaps one day, laws will become stricter and these fraudsters will get what they deserve. There are a few major problems with their claims. First, they don’t understand what “detox” means. A detox is used by medical professionals to get an addict to a point where he is safely off a drug. Addicts are often tapered off drugs so that the effects of quitting cold turkey don’t kill them, which can happen with some drugs. It has absolutely nothing to do with cleaning out your insides. When discussing detox diets or supplements, the toxins to which people refer are totally nonspecific and don’t even exist. The truth is that your body constantly flushes anything poisonous out of you on its own. A good example of this is when your body slowly works the alcohol out of your system by using your liver. More importantly, if you really think your body is not getting the toxins out and you are becoming severely ill, then you may have something serious like organ failure and you should see a doctor immediately. A detox drink will not save you. Vaginal douching is fairly common among women but actually has a rather short history. It only started to see widespread use in the last couple of centuries. At first, it was meant almost entirely as a method of birth control. Often, this meant vinegar or even chemicals would be used, which could be quite dangerous. Over time, the purpose moved away from birth control and became more about dealing with cleaning or odors. Lysol also heavily advertised in the early 1900s, suggesting that women should be using it to clean themselves. Although people eventually realized that it was a bad idea to apply Lysol to human skin, many women had become convinced that using products to clean their vaginas was something that should be done on a regular basis. However, the truth is that vaginas are self-cleaning and do not need any special products. On top of that, douching could upset the careful chemical balance and lead to an increased risk of infections and other complications. Doctors simply do not recommend doing this at all. But it is an uphill battle to convince people otherwise because so many women have been douching for generations and passing the habit on to their offspring. Fluoride is one of the most controversial substances on the planet. It was made famous in popular culture with movies like Dr. Strangelove. The main character wanted to launch a nuclear attack because he felt the communists were poisoning our precious bodily fluids with fluoride and he had to stop them. Many people today feel similarly and think that fluoride is an incredibly dangerous substance that should never have been put anywhere near our drinking water. They cite bogus studies or reviews which claim that fluoride damages children’s growing brains, causes cancer, and more. However, these alleged tests never hold up to scrutiny. The oft-cited research that claims neurological damage results from fluoride was simply a review of tests in China. We know that China has many different factors impacting the quality of their drinking water, not just fluoride. Despite heavy testing all over the world, there is no evidence that fluoride is harmful. The worst it can do is create small, purely cosmetic white spots on your teeth if you have too much over time. However, there are people who try to make a buck on fluoride fears and they will defend the claims of harm until the end. 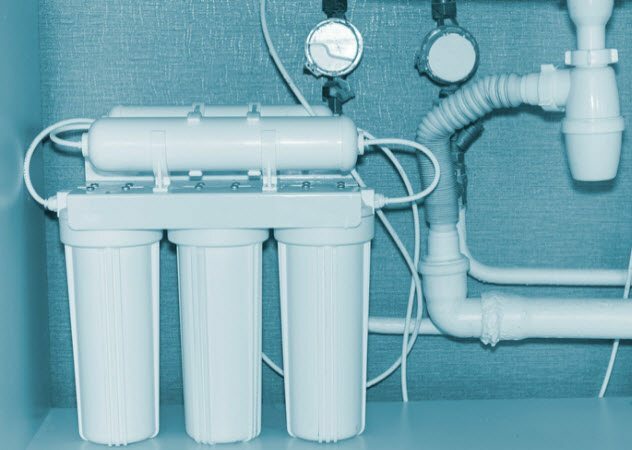 Some sites even charge exorbitant sums to sell people special water filters that supposedly remove all of that evil fluoride. Depression and major depressive disorder are absolutely real. There is more than enough scientific evidence to prove it—we are not arguing that. The issue is that many of the individuals diagnosed with depression do not fit the criteria properly. In a study at Johns Hopkins, they took a look at nearly 6,000 people who had previously been diagnosed with depression and found that less than 60 percent of them truly qualified as having major depressive disorder. Even worse, antidepressant use in the United States rose by 400 percent in about 20 years, with over 10 percent of the teenage-and-up population taking antidepressants of some kind. Although depression does exist, many people are given drugs that could make them worse while not helping with their real issues. When someone who doesn’t qualify as having depression feels sad, it is likely because life is difficult. These people may need to talk with a counselor. But taking unneeded drugs could harm the chemical balance of their brains over time. The reason for this is serotonin syndrome and the main way that depression is treated. Most antidepressants help you produce more serotonin, which is a feel-good chemical in your brain. Those with depression have trouble producing this. However, if you have too much serotonin in your system over time or at once, it can actually damage your ability to properly produce it. Excessive serotonin can also cause seizures in extreme cases. Although extreme reactions are only likely to happen if you overdose, taking antidepressants over time when you don’t need them cannot be good for your chemical balance. You are basically tipping the scales in the wrong direction. Recently, a ridiculous new condition known as trypophobia has arisen on the web. While no one seems to have found a way to profit from it yet, you can bet someone will try as soon as they figure out a way. If nothing else, some web administrators have received decent traffic from making a huge deal about this supposed condition. 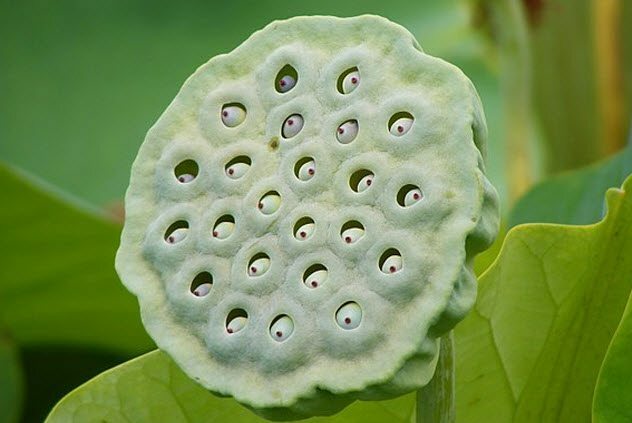 Trypophobia is the alleged fear of clustered holes. Some people claim that these holes freak them out and make them feel a horrible sense of revulsion. Supposedly, their skin gets itchy or they feel panicky or nauseous when looking at clustered holes. However, there is little reason to believe that this is a real condition. No professional psychologist or doctor of any kind recognizes this phobia or condition. The handful of studies that have been performed were on a small scale and hardly conclusive of anything solid. Carol Mathews, a psychiatrist at the University of California, talked to NPR about the phenomenon. She believes that it isn’t a true fear but simply a combination of priming, disgust, and people’s good old “me too” social attitudes (aka peer pressure). Trypophobia pictures are nearly always shown with images that most people would find disgusting whether the pictures had clustered holes or not. This primes the brain—along with being told that trypophobia is a thing—to feel disgust or revulsion when you look at other such images. Mathews also pointed out that many of these pictures, such as those of sliced cantaloupes, might gross out any of us if we look at them too long. But that doesn’t mean we actually have a condition or an instinctual revulsion. Disgust is not the same thing as fear. Showering daily, sometimes more than once a day, or at least once a week is a habit ingrained so deeply in so many individuals in modern societies that the idea of not doing it is utterly foreign. Many people just cannot imagine a life without regular showers or baths. They spend a lot of money on shampoos and conditioners over the years. However, there is some reason to believe that the shampoo and conditioner companies are really selling you a big, fat load of social insecurity while happily taking your money to the bank. There appears to be no scientific basis for believing that showering is good for your health in the slightest. In fact, all evidence, while not as strong as some would like, points to the contrary. The research suggests that showers are actually bad for you because they constantly kill off healthy skin bacteria and mess with the delicate microbial balance that keeps you safe from diseases and other problems. Frequent bathing was not widespread until the more modern world emerged. Even then, the kinds of shampoos that we use now became common only recently. In most people’s eyes, there was never any real need to shower so often until clever marketers convinced people that their natural odor was socially unacceptable. These marketers wanted to sell shampoos and other products like deodorant, so they created an industry that is now worth billions of dollars a year. We aren’t saying that you should simply skip showers in today’s world. But showering with mostly water unless you really feel the need to remove a smell could at least cut down on how much you are harming your body’s balance of skin bacteria. Read about more health scams on 10 Horrifying Scams Committed By Healthcare Professionals and 10 Wacky Vintage Cures Con Artists Sold To The Masses.